Found this little beauty at the Edinburg Scenic Wetlands park in Edinburg, TX over the weekend. This was my first visit there. Great spot for butterflies if you are in the area. Nikon D500 with Sigma 150 macro, f10, ISO400, 1/800. Thanks in advance for any comments, criticism, suggestions, etc. Agree with Craig on crop above. Nice colors on both the flower and the butterfly. very nice image. Fine image of a lovely butterfly. 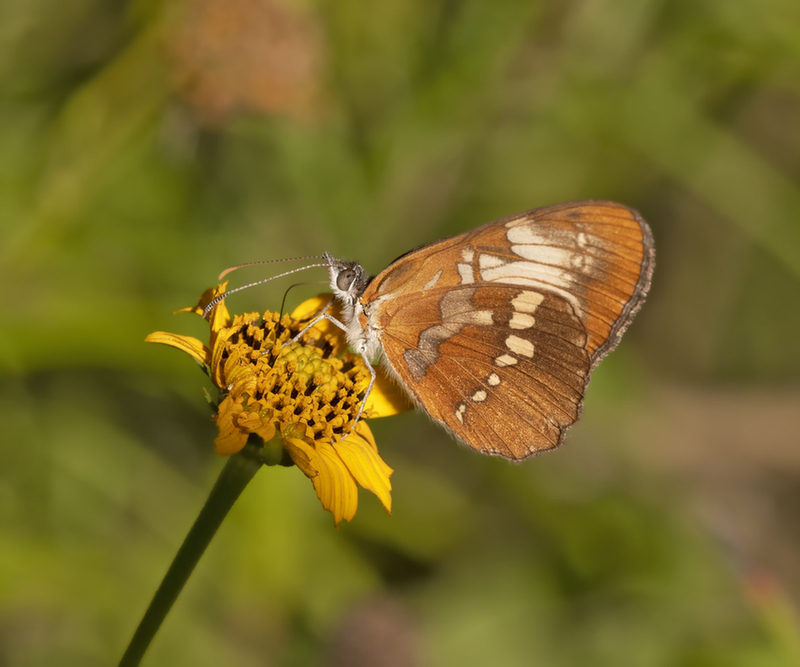 Some year I'll make it down to Texas for all of the beautiful native species and the migrants that come up from Mexico.